Every project needs a tool designed to manage it. And while it’s quite acceptable to use ordinary check-lists for small projects, growing businesses consume more and more resources, so you need a robust solution to manage them successfully. 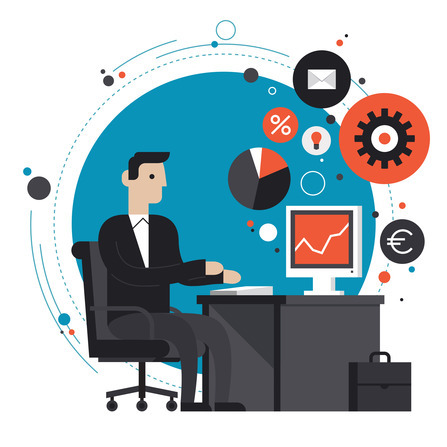 In this post we gathered the best project tools, which are going to hold leading positions on the market in 2015. 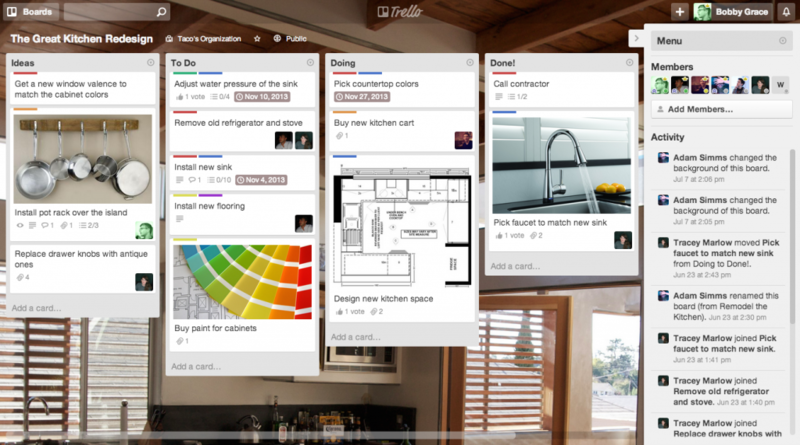 Trello is a collaborative tool designed for both individual and large organisational projects. The service uses boards and cards to manage all the activities. Trello also shows real-time changes. As a result every member of the project is aware of what each person is doing. Trello is also famous for its security, speed and flexibility. This project management tool has a clear and user friendly interface, which looks good on both desktop and mobile devices, so you can perform any changes on the go with ease. Trello has a free plan for individual users. But if you use large attachments and need some additional perks, you can pay $5 per month for Trello Gold or use Trello’s referral program. It allows free access to Trello Gold during one month for each new person that you get to join the service. There is also a Business Class Trello for organizations, which costs $50 per month or $500 per year. With Business Class you get some additional administrative features. Asana is a simple management system designed to solve internal productivity problems, which is entirely web-based. It is absolutely free for groups of less than 15 people. For 15 members the price is $50 per month, and for 100 people Asana costs $800 per month. The service is extremely easy to use. It provides native applications for both iOS and Android. There is also a mobile version of Asana’s website. With Hypertext feature you can use hyperlinks with ease, just put “@” and create the link. There is also a huge list of keyboard shortcuts, and you can color-code your projects. If you have any questions or difficulties with Asana, you can use the direct customer support, find the answer in a user guide, video tutorials or on dedicated Facebook or Twitter pages of this project management tool. The biggest drawback of Asana is a lack of progress tracking. The service is also too basic for complicated projects. 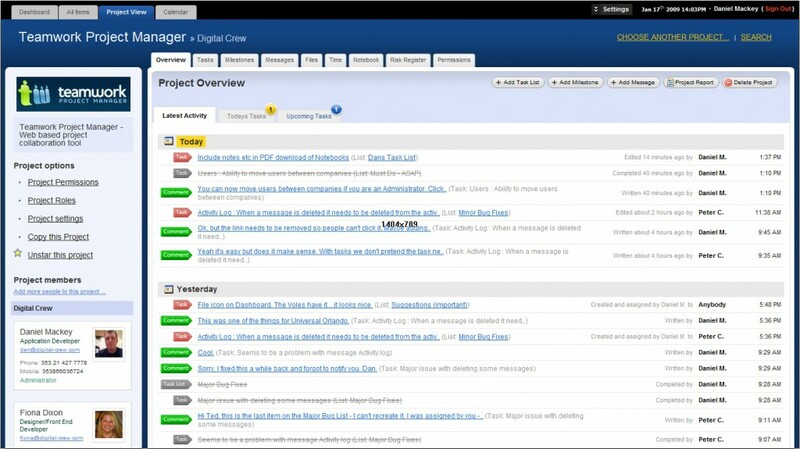 Producteev is another web-based project management tool. The service is completely free for both individual users and big companies. You get the access to unlimited projects. The maximum number of participants per account is 5,000. Producteev has clear and intuitive interface with the most important features only, but it lacks a strong customer support. There is a regularly updated Facebook page, in addition you can rely on dedicated Twitter feed, FAQs and several user forums. Many users complain that Producteev is buggy. It also lacks some useful features and an iPad app, but don’t forget, that you can sign up for free. 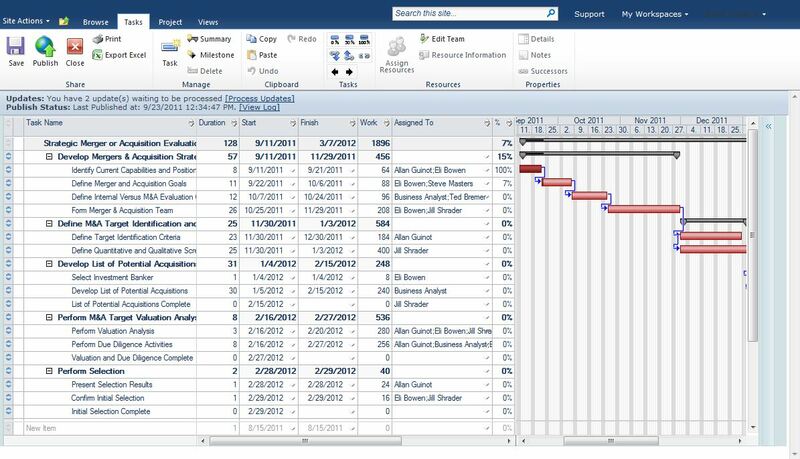 Smartsheet is a spreadsheet-based project management solution designed as a cloud service. Due to this, you can access it from anywhere on the web. There is a free 30-day trial and 4 pricing plans starting at $15.95 per month. 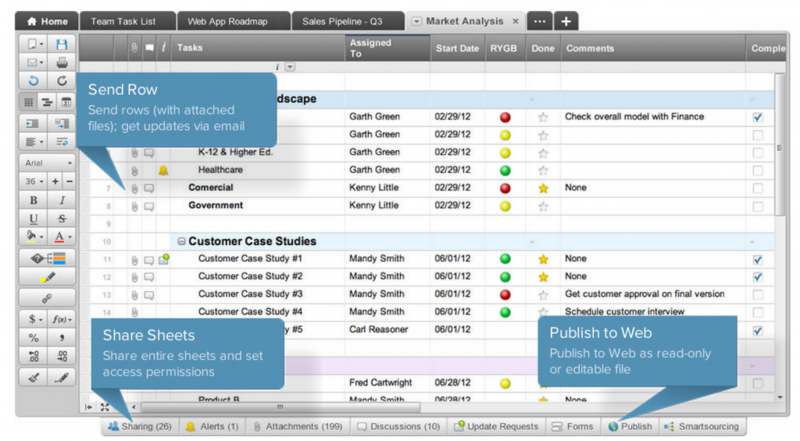 SmartSheet is both efficient and practical. It provides iOS and Android applications and web access for other mobile devices. The service support drag-and-drop features, which make it extremely easy to manage. There are also support for 6 languages (English, Spanish, Portuguese, French, German, Italian). With SmartSheet, you can import files from other spreadsheet programs and attach URLs, Google Docs, Box files, or anything from the hard drive. The service also provides a strong customer support with webinars, video tutorials, personal callbacks, etc. At the same time it lacks email integration, time tracking features and a central hub for communication. Podio allows its customers to design custom workspaces and create their own tools. Users are able to choose the structures that suit their needs as much as possible. 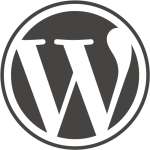 The service is entirely web-based, and provides 3 pricing plans, one of which is free. Podio has a lot of useful features, so it may seem overly complicated for the first time. There is a paid Go-to-Meeting integration in Podio. With this feature you will hold all your meetings with ease. And thanks to @mentions, you will automatically notify everyone through social networks. There is also a huge App Market and native apps for both Android and iOS devices. You can use live product demonstrations, help center, and Podio Twitter as a customer support. Two biggest drawbacks of Podio are the lack of project archiving and limited time tracking. 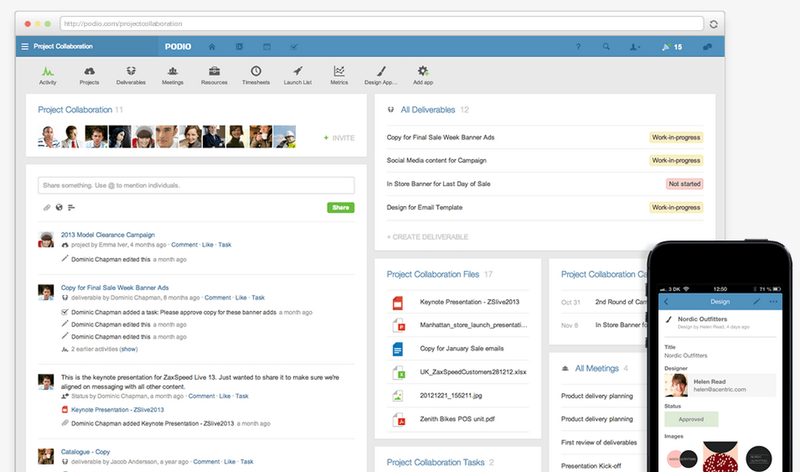 Basecamp is the most popular cloud-based project management tool – the service includes more than 9 million users. There are no per-user costs and hidden fees. You can choose one of 4 pricing plans, starting at $20 per month. There is also a personal plan for a single project. It has limited functionality and costs $25. Basecamp supports auto saving, drag-and-drop feature, archiving, and has a simple and user friendly design. 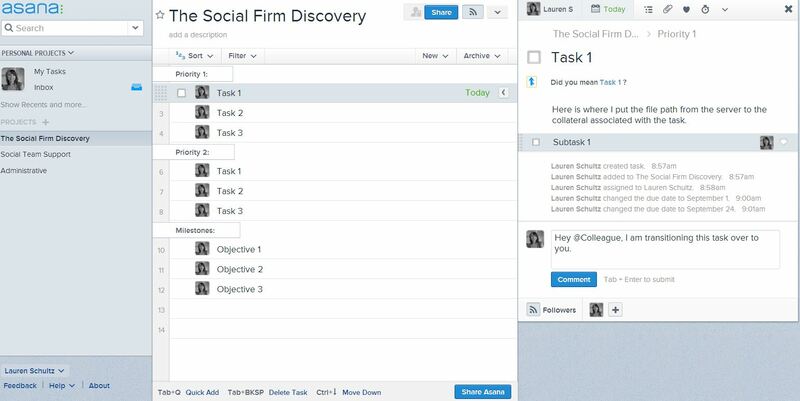 You also have the ability to send tasks to the preconfigured groups of people. There is a Basecamp mobile app for iOS 6 or later devices. If you are an Android or Windows Phone user, you should use mobile version of Basecamp site. Support requests, live classes, different guides and video tutorials, sample projects and cheat sheets are all the instruments of customer support provided by Basecamp. At the same time, Basecamp has a limited feature set and a poorly designed website, lacks time tracking, and is not customizable. Zoho Projects suits for small and medium companies. 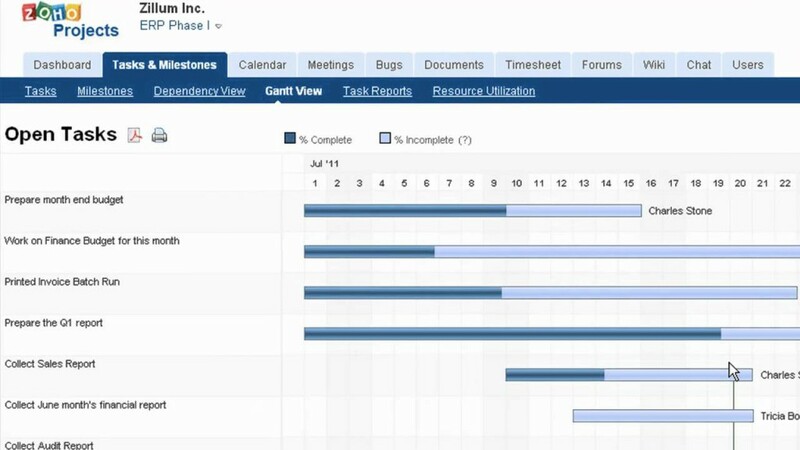 Thanks to bug tracking features, this project management tool is very popular among software development industry. Zoho Projects supports 16 different languages. It provides one free and three paid plans starting at $20 per month or $199 per year. Zoho Projects is the most difficult project management tool, so you should be aware that it is much more complex than other solutions. At the same time, the service provides native mobile apps for Android and iOS, which makes it more universal and convenient. In addition, you get disc usage reports, project organization criterias, calendar, tool for meetings scheduling, WYSIWYG editor, email integration and tons of other useful features. Zoho Project provides almost perfect direct support, but its written and educational materials left a lot to be desired. Keep in mind, that cheaper pricing plans lack some key features. 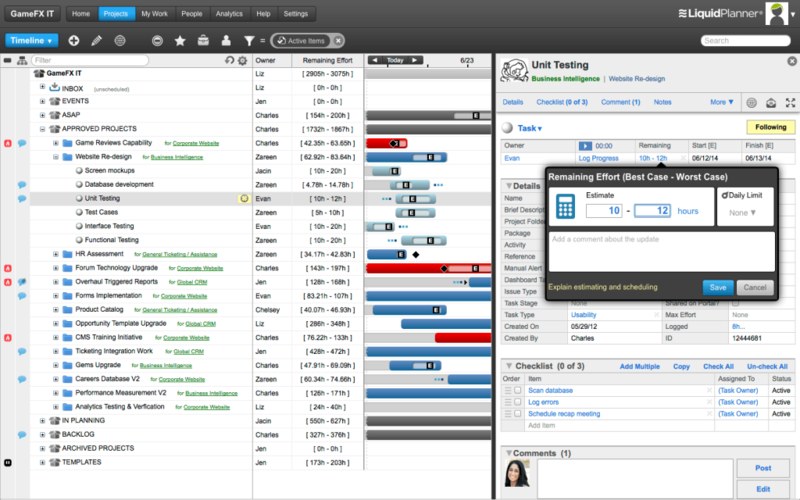 LiquidPlanner operates with a unique scheduling methodology that relies on task prioritization. This project management service is entirely web-based and require no manual updates. There is a free trial for 30 days and the standard fee is $29 per user per month. LiquidPlanner has a clear user interface and a lot of useful features. Email integration, right-click menu with simple functions and shortcuts, filters, time tracking and edit panel are among the major LiquidPlanner features and tools. The service requires an investment of time before you will know how to manage your project. 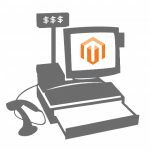 But you can significantly decrease its amount by using dedicated customer support, reading manuals and watching tutorials. The major LiquidPlanner drawbacks are mobile apps, bugs and a lack of budget alerts. EPM Live currently boasts 5,000+ customers worldwide. It is famous for its flexibility and relevance for different industries. Among current users, there are such large corporations, such as FedEx and Toyota, scientific organizations, such as NASA, and medical providers, such as Providence Health Systems. 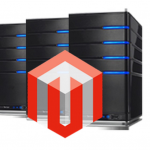 There are both on-premise and web-based solutions. EPM Live provides 4 pricing plans: Express, Professional, Enterprise and dedicated, with the cheapest starting at $6 per user per month. This project management tool provides tons of features and add-ons, so it may seem overwhelming at first. Notifficatons on a dashboard, status updates, actions button, and my time off are among key features of EPM Live. There are both standard and premium customer success packages. In addition there are several deployment packages and training videos. The biggest drawbacks of EPM Live are the lack of mobile applications and no google integration. TeamworkPM is a cloud-based solution, so you can access it from any location on the web. There are one free and five paid plans, with the cheapest one starting at $12. Every plan has a free trial for 30 days. Teamwork has always tried to make their service simple and user friendly. As a result there are feature rich and easy to use iOS and Android apps, and the site has clear dashboard and beautiful design. There is even a sidebar, which shows the amount of storage space you have. The FAQ section of Teamwork is highly informative, but you can also send your questions to the support team of Teamwork. 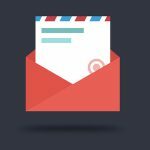 Additionally, you can sign up for a free monthly newsletter with useful tips and hints.